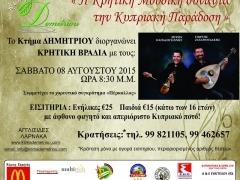 Ktima Demetriou organizes Cretan nights with George and Myron Papadogianni Zacharioudaki! 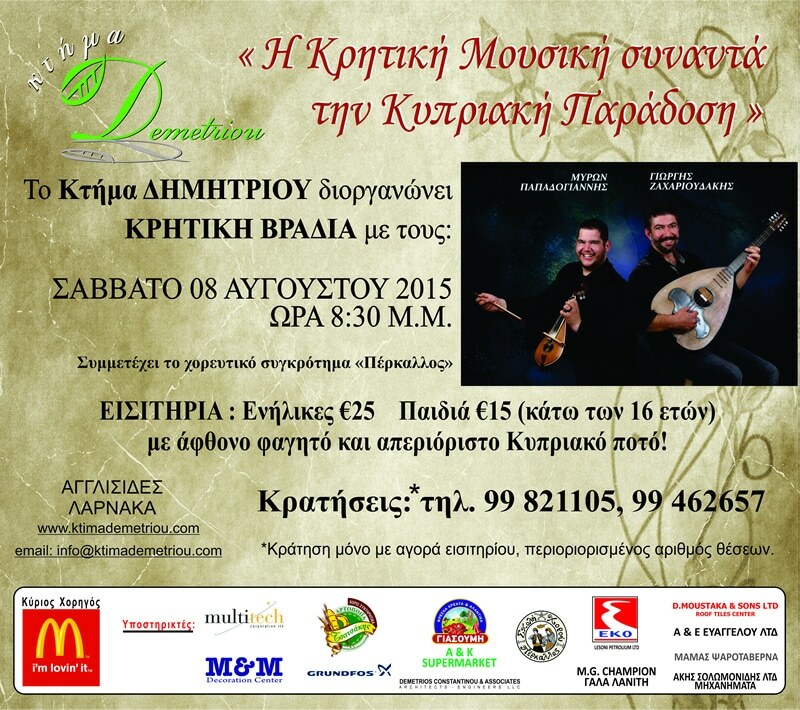 with plenty of food and unlimited Cyprus drinks !!! Participates the dance group \"Perkallos\". * Reservation only with ticket buy, limited number of seats.